"It was probably a better reflection of the two teams’ abilities than the first match in Brisbane when India’s batting were collectively poor"
Australia are grateful to the Melbourne weather for ending their horrific record of eight consecutive series defeats in all formats. With a 1-0 lead and a game to play, they cannot be beaten. Before the weather intervened, they were in awful trouble. Batting first they had struggled to 137 for seven with an over to go. India were approaching [1.25]. It was the sort of match situation that was expected given the respective teams' form. The Aussie top order had been becalmed with D'Arcy Short, Aaron Finch (a golden duck), Glenn Maxwell and Marcus Stoinis all struggling for fluency. Ben McDermott managed a late cameo to get them towards something worth defending while Nathan Coulter-Nile also struck lusty blows. Despite their lead, Australia would be well served to consider changes to their team. Short looks to be struggling and it might pay off to bring in Ashton Agar, giving them another spin option, and promoting Chris Lynn or Alex Carey to open. India's bowlers stepped up to the mark after being a little wayward in game one. Bhuv Kumar and Jasprit Bumrah once again dovetailed brilliantly as the best pace pair around. Only Khaleel Ahmed was expensive, the left-armer going for nearly ten an over. That could mean he is vulnerable for Sydney, where the wicket could take more spin. India have shied away from asking Australia tough questions with tweak and it wouldn't be a surprise to see Yuz Chahal recalled. Washington Sundar is another option is they want to lengthen their batting. The rest of the XI should remain unchanged although they may be wise to demote KL Rahul from No 3 to No 4 to give Virat Kohli as many overs as possible. Kohli is more prolific as first man down. There have been only five T20 internationals at the SCG. The first-innings scores (102 denote won by side batting first or second): read: 117-2/197-2/138-2/150-1/221-2. It is a chasing ground with plenty of runs available. If we include domestic matches, at least 150 is a par score. The toss bias is at around 52 per cent for the chaser. India have shortened a little in an early match odds market following their strong showing before the turn at the MCG. They are available at [1.8] with Australia [2.2]. We still favour India to assert their authority and, even though only 19 overs were possible, it was probably a better reflection of the two teams' abilities than the first match in Brisbane when India's batting were collectively poor. That could, of course happen again, and there would have been some nervous (and bemused) looks when it was announced they would be chasing almost nine an over under rain rules. Still, we think it unlikely that India's batsmen can underperform to such a chronic degree twice in a row. The weather forecast, at this stage, is for no rain. Mind you, it said the same for Melbourne. India will be hugely frustrated they've been denied the chance to get the tour off to a winning note and they should be bang at it from ball one. There is some ground form for Chris Lynn and Maxwell. Lynn top scored for Australia against New Zealand in the last T20i in February after the Kiwis had produced a shocker of a batting effort. 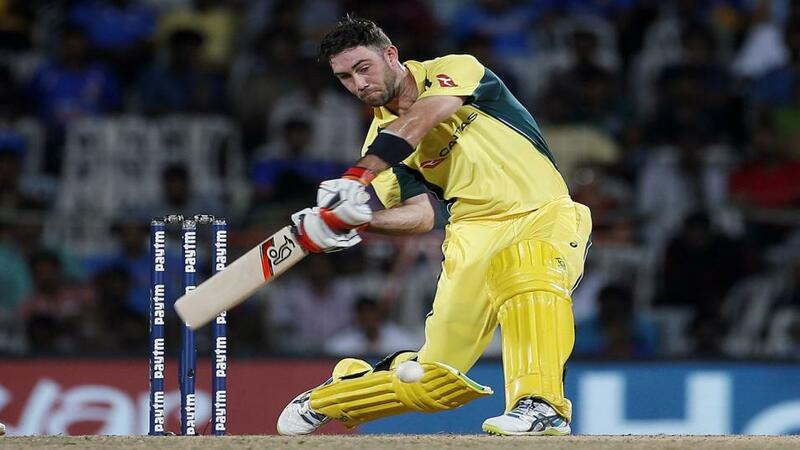 Maxwell whacked an unbeaten 40. He also hit 84 from 47 balls in his last outing at the SCG for the Melbourne Stars in the Big Bash. Lynn is 16/5 and Maxwell 4/1 (both Betfair Sportsbook). Carey is 20s and McDermott, who top scored at the 'G, is 12/1. Two years ago India chased 197 against Australia to win by seven wickets. Three of the architects of that scintillating display will play again. Rohit Sharma managed 52 from 38 balls, Shikhar Dhawan 26 off nine and Kohli, batting at No 3 it should be noted, 50 off 36. Rohit is 11/5, Dhawan 16/5 and Kohli 10/3 (all Betfair Sportsbook).